Stories, photos and video from my November 2016 trip to visit Morocco. There’s More To Golf In Morocco Than The Trophee Hassan II This week, the European … Read more. The Medina In Marrakech Take the train from Casablanca going south Blowing smoke rings from … Read more. The Bab Agnaou is one of nineteen gates in Marrakech, Morocco. The gate is the … Read more. Mazagan Golf Course Review Mazagan Golf Course, El Jadida, Morocco Grade: A- Teacher’s Comments: A good resort … Read more. Visit Morocco: Old Town Rabat – The Kasbah des Oudaias, The Andalusian Gardens and the … Read more. 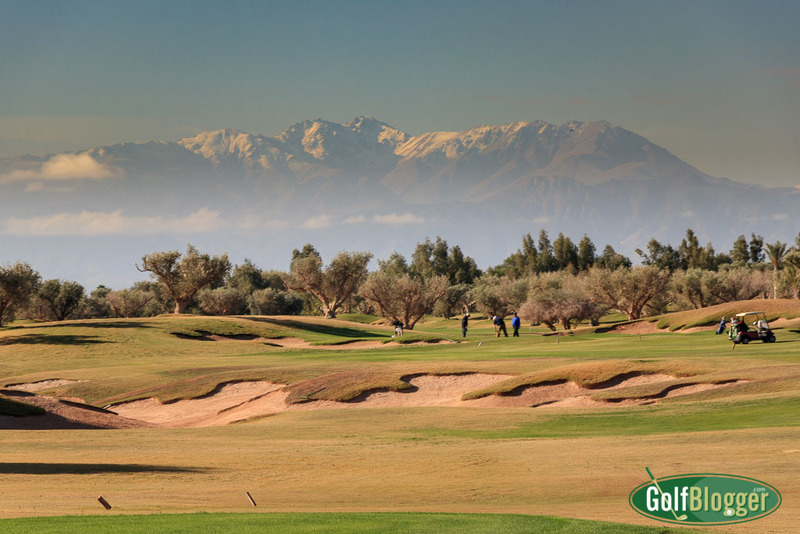 Royal Palm Golf Course Review Royal Palm Golf Course Marrakech, Morocco Grade: A+ Teachers’ … Read more. Built in the 19th Century, the Bahia Palace in Marrakech is a masterpiece of Moroccan … Read more. Here’s a visual video tour of Royal Golf Dar Es Salam in Rabat Morocco. it’s … Read more. As I traveled from Casablanca to Rabat to El Jadida to Marrakech on my recent … Read more. Less famous than its cousin in Marrakech, the Medina in Rabat stuck me as more friendly … Read more. Built in 1972, the Mausoleum of Mohammed V is one of the most important shrines … Read more. On my trip to visit Morocco, I purchased for my sons two Moroccan Djellabas at … Read more.